Product information "Cabrio Pro Comfort Module for VW EOS Convertible"
Roof operation will resume in case of over speeding, i.e: if you start a roof operation and drive faster than the specified max speed the roof operation will automatically resume by driving less than the max speed within 10 seconds. This device does not include any crush detection; therefore this module should only be used exercising caution and responsibility. KUFATEC and the administrators of this website can NOT be held liable for any damage or injury caused by installing or using this product. 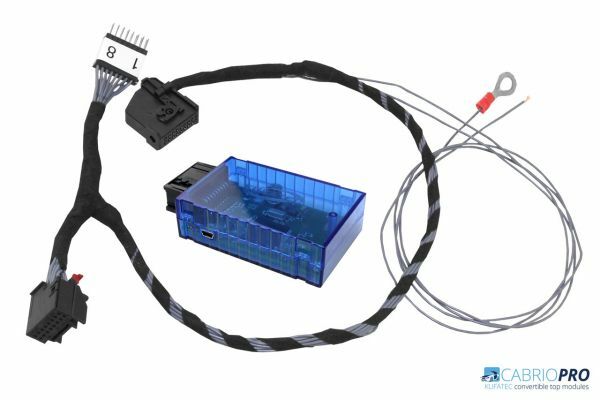 Customer review for "Cabrio Pro Comfort Module for VW EOS Convertible"
no se como anular destellos intermitentes, no hay instrucciones sobre eso. al capotar o descapotar con llave quitada se quedan las ventanas traseras abiertas. venden como actualizable pero nadie me dice como actualizar. por la diferencia de precio me arrepiento de no haber comprado el smart que es configurable y con un post venda correcto. 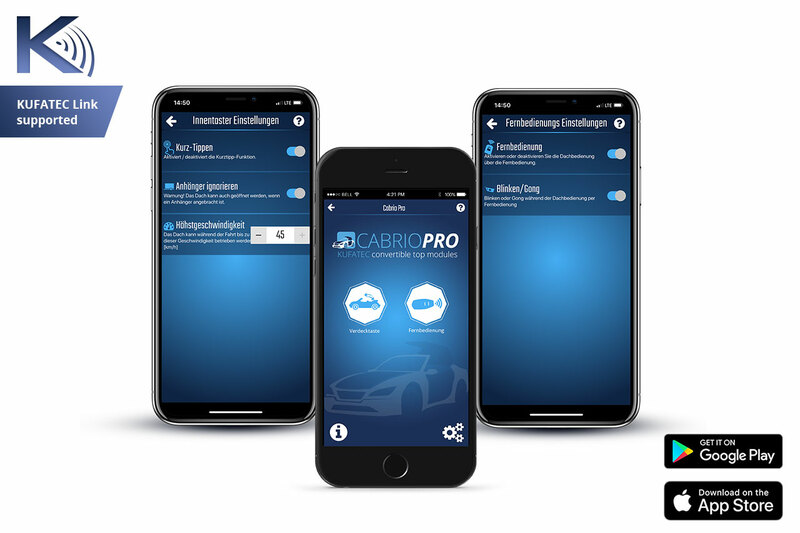 Properties: "Cabrio Pro Comfort Module for VW EOS Convertible"
Installation manuals for "Cabrio Pro Comfort Module for VW EOS Convertible"